On Tuesday, March 8, 2016, the moon passed through the Earth's shadow and completely covered the sun for about four whole minutes. It was a dazzling sight, and now everyone is wondering when the next solar eclipse will be. On Tuesday, the alignment was perfect and made for one gorgeous (and rather rare) total solar eclipse; so what's next on the calendar? The next solar eclipse will be Sept. 1 of this year. 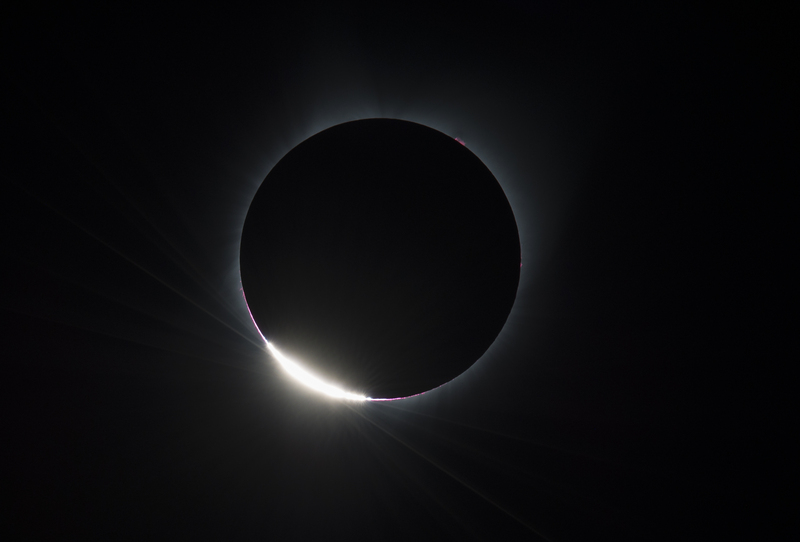 It will be an annular solar eclipse, meaning the moon will cover the sun's center, and the edges of the sun will remain visible around the moon. Another annular solar eclipse will take place Feb. 26, 2017; and then on Aug. 21, 2017, it's go time: The next total solar eclipse. Jackpot. Eclipses are the type of thing that many of us don't know about until the media start talking about them, so here's a brief rundown. Many years, we will experience four eclipses, and two of them will always be solar. (The others are lunar.) On a rare occasion, however, we will have seven total eclipses in a single year. Regardless, though, we can't have more than two total solar eclipses in a single year (because of, y'know, how the solar system works); so you have to catch those when you have the chance. I was curious about what eclipses mean in terms of astrology, since I'm totally into that kind of thing. According to some, an eclipse brings the end of one thing and the beginning of a new life event — giving birth, an engagement or marriage, a big business deal, etc. Looking back on this past eclipse, the only dramatic thing I can remember happening is my boyfriend and I finished binge-watching the free episodes of House of Lies on Amazon Prime. That's a pretty big deal... right?